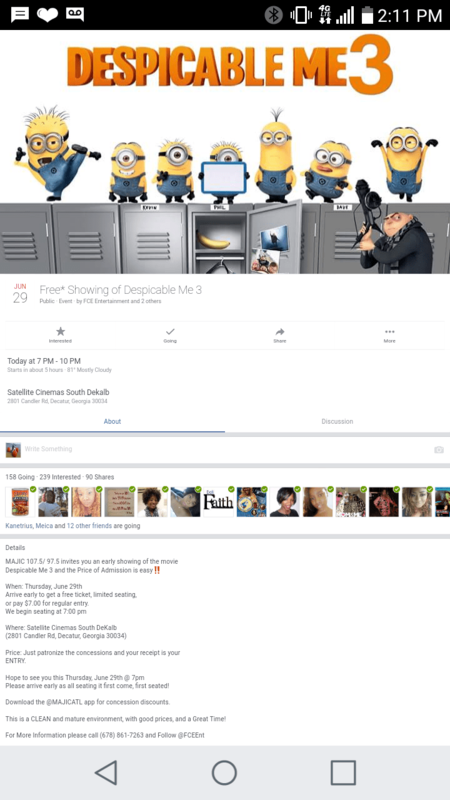 Join Majic 107.9 and FCE Entertainment as they invite everyone for a free early showing of Despicable Me. The movie starts at 7pm make sure you get their early as the free tickets are limited. If you are unable to get a free ticket, tickets will be $7. They begin seating at 7pm For consession discounts download the Majicatl app. For more information you can call 678-8617263. So come out for some good clean and affordable fun. Free tickets are on a first serve first come basis.